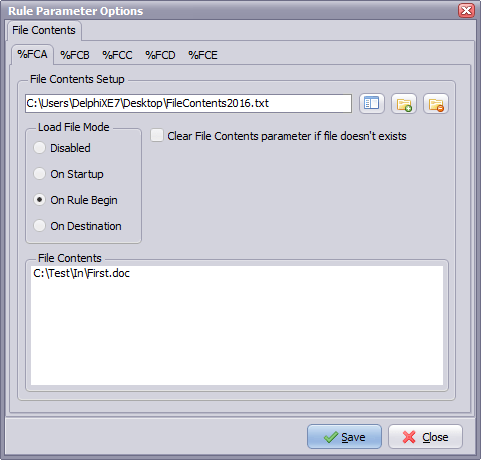 You can also use replacement parameters in the setup of the Filename you want to load. 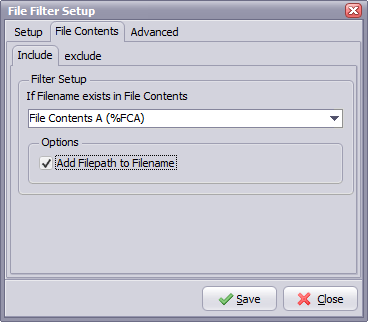 Secondly we’ve added a File Contents Filter option (File Filter Setup Form). So this way you can include/exclude files that exists in the File Contents of an external file. The contents of this external file will decide if a file will be picked up or not by our File Mover.